Athlete’s foot fungus is classified medically as a dermatophyte (also called “ringworm”) and related to other fungus infections, such as jock itch. These fungal dermatophytes attack dead cells of the skin and create a kind of dermatitis. Probiotic therapy, consuming probiotics on a regular basis, has been noted to ease and soothe athlete’s foot, which is characterized by skin tenderness, itchiness and peeling. It is important to note that there are hundreds of skin maladies and fungus. Some notable ones are psoriasis, eczema and nail fungus. Some of them are very hardy and difficult to defeat. Athlete’s foot has been identified as one that can be soothed with probiotics. Note: Nail Fungus and Psoriasis are not relieved by probiotics. 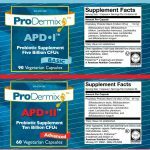 APD-I & APD-II are high-potency probiotic blends of species that support and strengthen the epidermis (outer skin), maintaining them soft, smooth and fungus resistant. They both consist of a specially formulated probiotic blend of species that helps to rebalance the GI microflora and relieve epidermal (skin) discomfort. 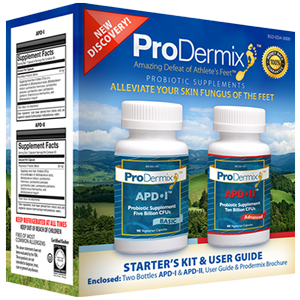 Both formulas consist of eight hardy speciesof probiotic proprietary blends that have been observed at some period to relieve the rash and itching of skin fungus of the feet (commonly known as “athlete’s foot”) and yeast infections (candida). 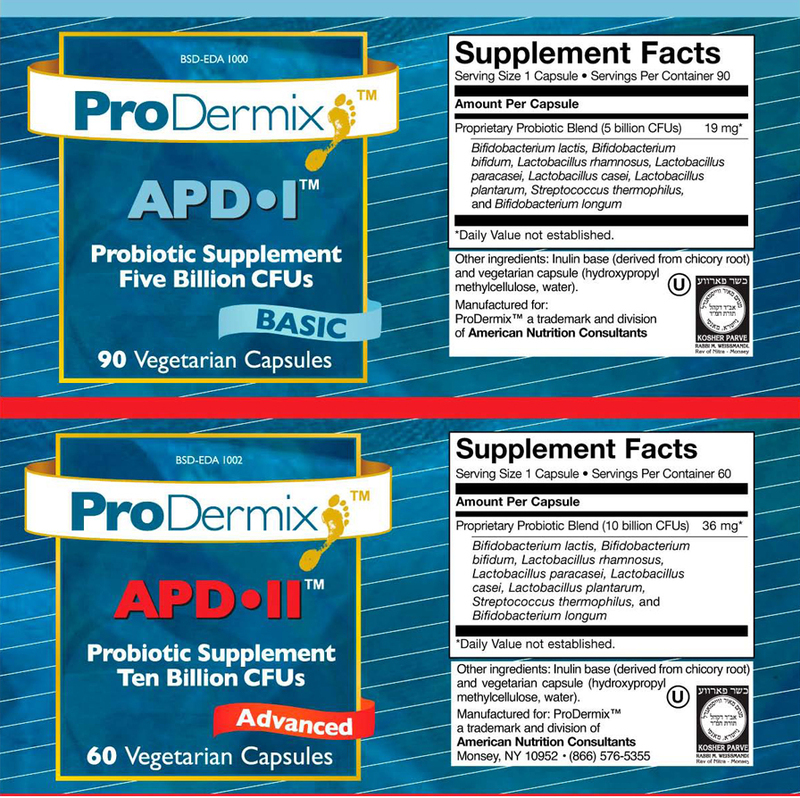 APD-I & APD-II are both composed of longstanding favorites of the probiotic clinicians and health care providers to protect the microorganisms in the GastroIntestinal tract. In situations where rotavirus (bacteria causing infantile diarrhea) and other pathogens invade and multiply in the intestines, health care professionals turn to these formulations to relieve the symptoms. The probiotic species in the “APD” formulations synergistically produce additional Probiotic microorganisms that lower the pH of intestinal contents and inhibit the growth of viral pathogens and bacterial yeast. The “APD” probiotics produce B vitamins that help enhance the absorption of minerals and nutrients in the body. The above-mentioned three highly potent strains of probiotics plus the five additional hardy species in our “APD” formulations stimulate the gastrointestinal tract and the systemic immune system to function in a healthful and reenergized, pathogen free environment. At the same time, these formulations provide support for people suffering from fungal skin of the feet and yeast infections (candida). Free of most common allergens. This product is not formulated for Nail Fungus. This is for Athlete’s Foot or Yeast Infection (Candida). New breakthrough products are in development.